Hello all. Now that the Counter Culture series has wrapped up, I’m embarking on a new series. I though it would be entertaining and helpful to let you see the whole process of a kitchen renovation. 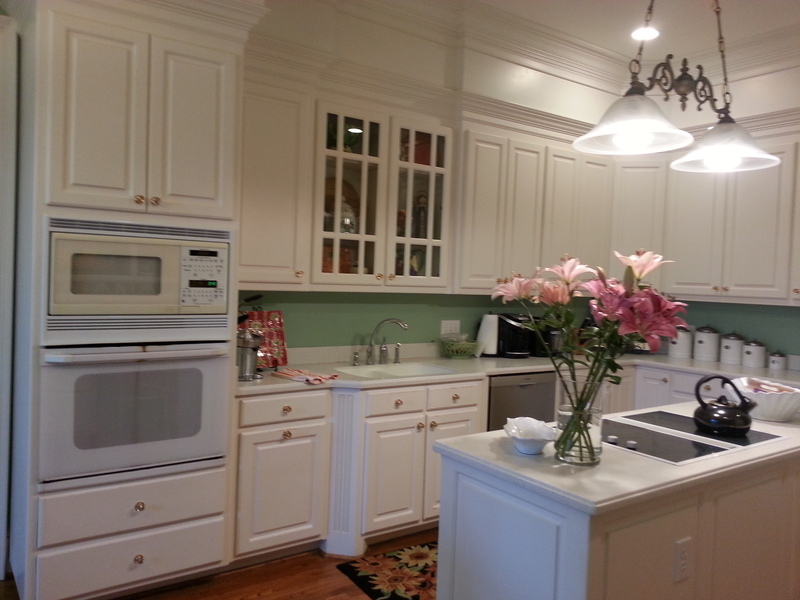 I will be featuring a current client who is having their entire kitchen and adjacent dining room renovated. They gave me the OK to feature their lovely home in the series. For the sake of their privacy, I’ll be changing their names. For this particular ‘home improvement’ I’ll pick…. say…. Tim and Jill Taylor. Yeah, that works. 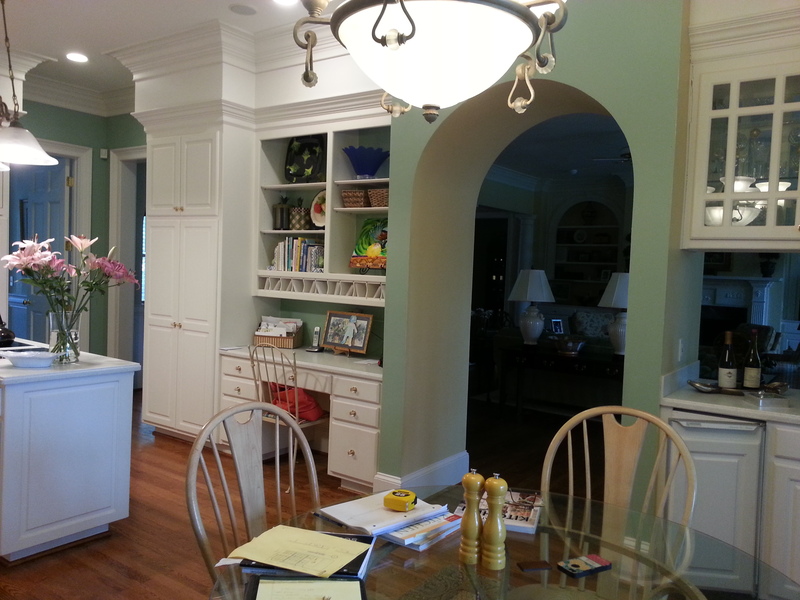 The Taylors are existing clients of mine, for whom I’ve helped redo several rooms in their house. This is the first renovation they’ve done though. Which seems like a great start to documenting the process. The house was built about 15 years ago and the kitchen was well done. But the client felt it was time to update and improve. I sat down with them to determine what all they were looking for in their new kitchen. What was important to them. Jill is an avid cook and loves to prepare food. Therefore, the quality of appliances and functionality of the kitchen will be paramount. We need to think through placement of everything with heavy use in mind. Is that outlet in a useful place? Is the sink too far from the stove? Is the stove large enough? 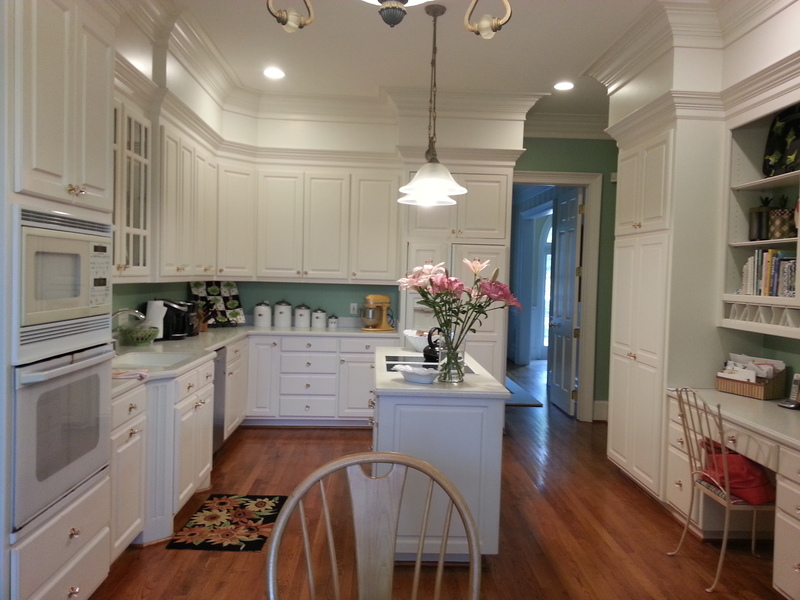 Is the counter space not only ample, but practical? The Taylors are empty-nesters with a desire to update their home. They wanted an open floor plan for the kitchen and dining room in order to improve entertaining and hosting. When I enter into a large renovation like this, I first ask the client to take an inventory of how they use the space now. Where do they like to do prep? What do you have to work around in your current kitchen? What was designed into the current plan, but isn’t used? What is used more than anything else? The specific items for which the Taylors asked were as follows: a larger pantry, a sitting area for enjoying their lake view, display areas for their art and pottery, new lighting, clean lines. They want to be able to engage with their guests even if they’re working in the kitchen. The kitchen, maybe more than any other room should be planned to a T. It is used multiple times daily, is a hub of life and activity, and really makes a house a home. So I helped them consider as many of these scenarios as possible in order to nail down exactly what this renovation needs to entail. A view of their current kitchen. The doorway ahead leads to the dining room. To the right (by the desk) leads to the family room. The view leading into the family room. To accomplish the goals set forth by the Taylors, I suggested we knock out a wall. The kitchen wall that leads into the dining room to be exact. (In the first picture, the wall with the yellow mixer.) The wall leading into the family room will remain due to the fact that it is load-bearing. However, we will open it up by removing the desk and leaving a open,airy space. There will also be some spots for the pottery they want to show off. This wall stays put. It will have the new pantry on it. This is going to be a long process, but I’m going to keep you abreast the whole way! Please check back in for updates!